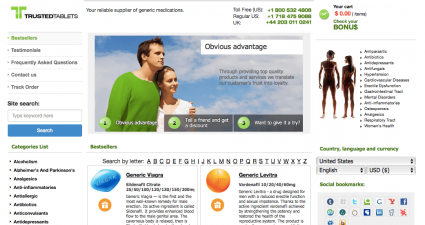 This is another online pharmacy that has a wide range of medical products enabling its customers to buy with ease. The website pays special emphasis upon customer care and focuses on trust and care. 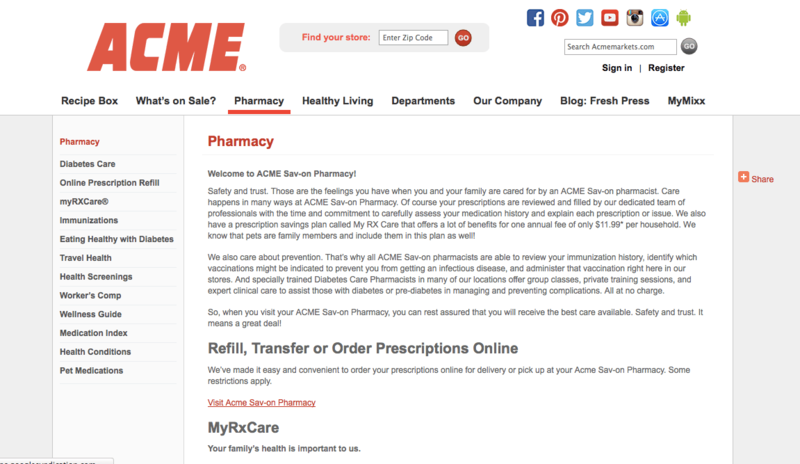 Addressing to most medical conditions, acmemarkets.com serves as a helpful prescription, refill and ordering online facility in the United States. Not only medical products but this website also brings to you some important and highly researched information regarding some of its special features such as diabetes care. You can learn some useful things about diet and nutrition either through the website or through the customer services representative on the telephone. Numerous services at the website include health screening, online refills, pet medications and several others. The ordering and refill procedure is quite simple and the customers do not face too much of a problem during the process. You can book an appointment online through the website to check for several health conditions such as cholesterol, blood pressure, and glucose level. Another good feature of this website is its decent layout and user interface. Considering its design, it can be said that it is kept fairly simple and there is nothing too extravagant about it. Readers and visitors will have a good reading experience as there are no pop-ups and ads. Navigation through the website is convenient and it looks like there is not too much of hidden information. You can contact any of the locations for health screening given on the website. You can contact the website through email, telephone, and mail. You can find a lot of reviews about this website. 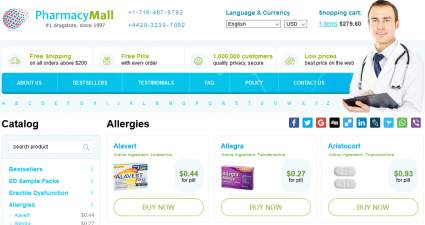 It suggests that this pharmacy has reached the customers pretty well and there have been quite a few buyers from this website. The problem is that most of the reviews for this website are quite negative and customers have not given a positive nod to this pharmacy. The following reviewer says that the customer services are not too great and that he faced a tough time availing a certain coupon at the store. He says that the sales people are quite rude and he also said that he won’t be shopping at this store anymore. The following customer complained about the overall facility of the store saying that the parking lot for the store has poor lighting which almost caused her to meet an accident at night. She said that she would have called the police if anything more serious had happened. The reviews for this website give an indication that the store needs to uplift its services as well as operations. There are numerous complaints regarding poor treatment of customers and lesser facilities. The story hasn’t changed a great deal in the year 2016. More and more complaints continue to pile up and it looks like the store has done very little in order to rectify the blemishes. The following reviewer suggested that the there is not much of a variety in these stores and the customers, therefore, opt for other sources to buy their products. They said that the store needs to improve its performance and come up with better strategies in the future. Another customer complained about the customer service saying that they faced a few issues during the payment at the cash counter when they weren’t allowed in the express line. From the reviews, it is pretty simple to conclude that this website is legitimate and there are genuine products available at the store. However, the main concern is customer services which need to be improved quite considerably. There are useful discounts on some of the items at this store. Customers can learn more about them through the website. •	Pet medications can be refilled which saves quite a bit of money. 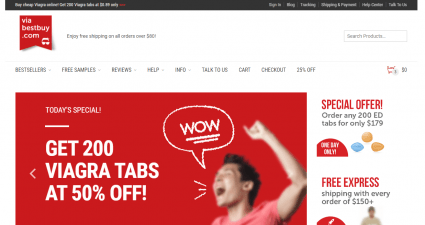 For now, coupon codes are not available on any of the third party coupon websites but customers can check back later for valid coupon codes. Acmemarketc.com is an online facility based in the United States. 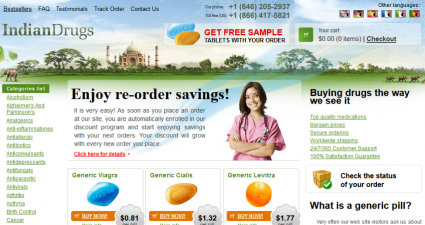 The website has a wide range of pharmacy products as well as other items which make it a complete package for the customers. It has been serving the customers for a decent time and therefore it has been reviewed quite a bit. The reviews suggest that the website has lacked in the customer service department and the complaints generally target the representatives rather than the products. Hence, if the store manages to improve its services, it can be given a higher rating for sure. It receives a rating of 1.5 out of 5.